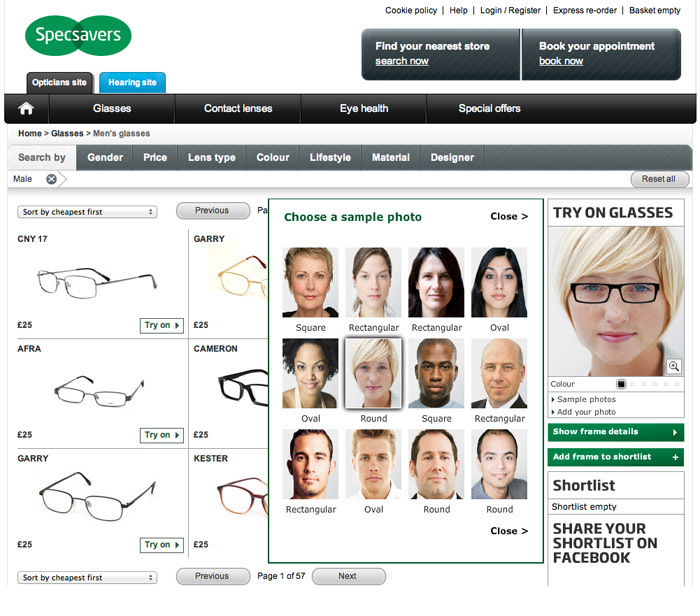 Working with Josh Kedward at Curve 21 we completely redesigned the Specsavers website. This included developing an interface capable of superimposing glasses on to an image of the customer. 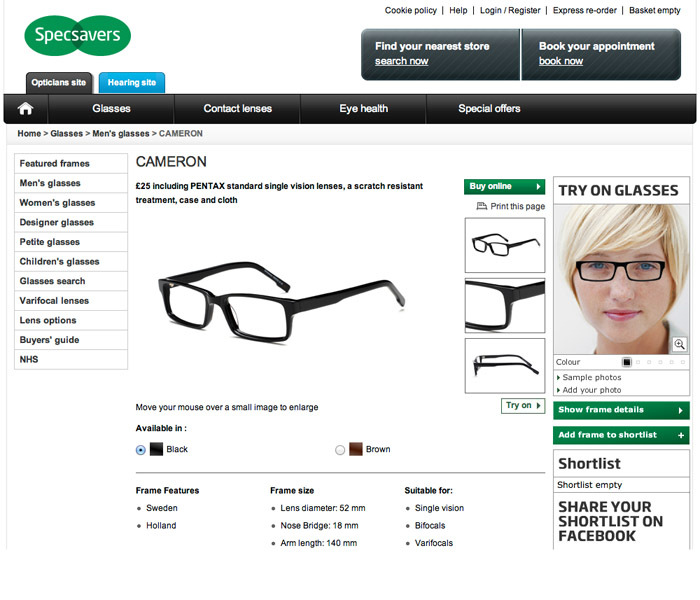 Once approved, the maintenance of the site was taken over by the in-house team at Specsavers.